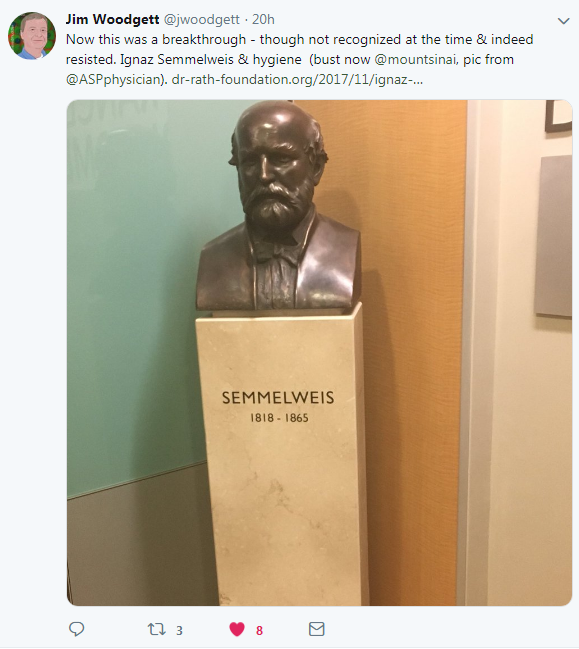 The unveiling of a sculpture of Dr. Ignaz Semmelweis on our Labour and Delivery unit was cause for celebration this week at our Mount Sinai campus. 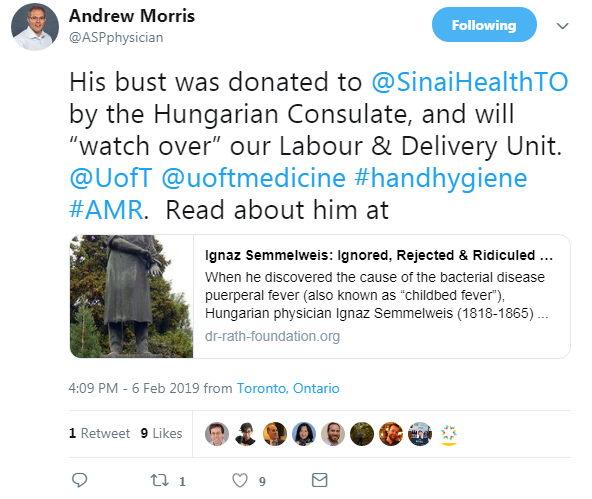 Donated by the Consulate General of Hungary, the bust marks the 200th anniversary of the birth of the physician who discovered that hand-hygiene reduced mortality during childbirth. 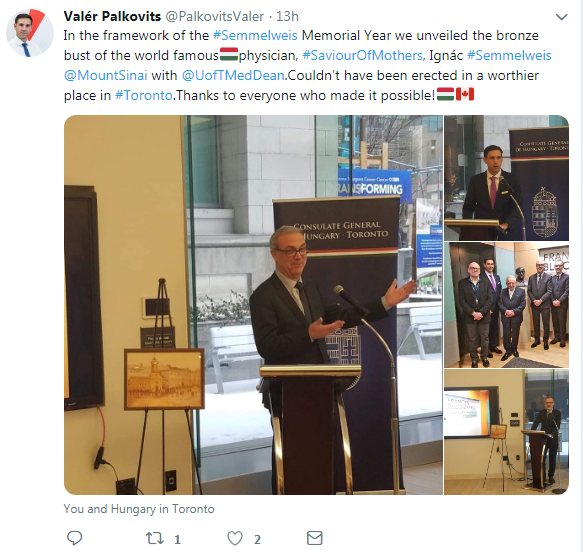 Joining Consul General Valér Palkovits were members of the Hungarian community and Sinai Health leaders and clinicians from our Women’s and Infants program, Infection Control and Medicine including Drs. 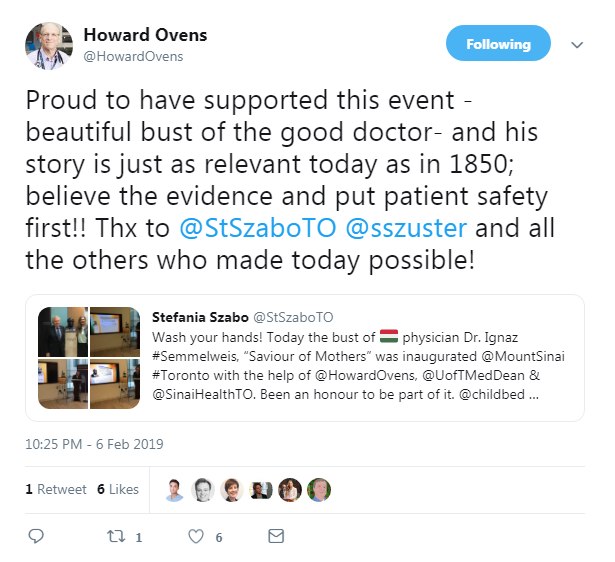 Howard Ovens, Andrew Morris, Allison McGeer, Jennie Johnstone, Prakesh Shah, Jim Woodgett, and Jane Merkley, Joanne Mackenzie and Kate Wilkinson. 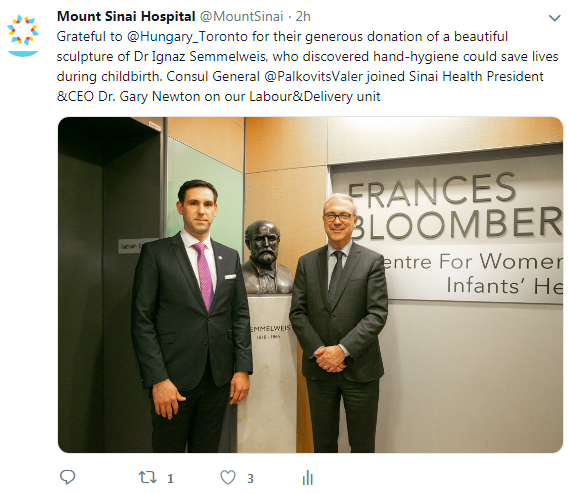 Guests heard from Professor Trevor Young, Dean of the University of Toronto’s Faculty of Medicine and Vice Provost, Relations with Health Care Institutions, Mount Sinai obstetrician Dr. Dan Farine, respected Hungarian physician Dr. Peter Forbath, and Dr. Gary Newton CEO of Sinai Health System.